This is a Google form pertaining to a particular topic. It is perfect for today’s digital classroom. 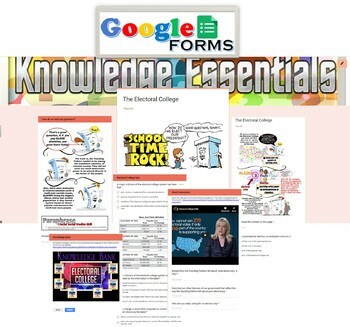 Each Knowledge Essentials Google form contains the basic information for student mastery, as well as opportunities to apply that knowledge on multiple choice questions, document-based questions, short films, ect. These can be used in a wide variety of ways: To catch students-up on material missed, as homework or part of a flipped class module, enrichment, to cover a topic quickly, or as remediation for students who need additional instruction. At the end of each google doc is a link to a true knowledge bank: a veritable buffett of learning. Students can choose their own path to mastery or teachers can assign a minimum number of knowledge points to earn completion or mastery or what have you. Student digital devices are required: Smartphones, laptops, desktops, tablets, or Chromebooks. If purchased, you will receive a PDF with active hyperlink to google form. Following instructions to copy google form into your google drive. Once copied you can make adjustments as needed. 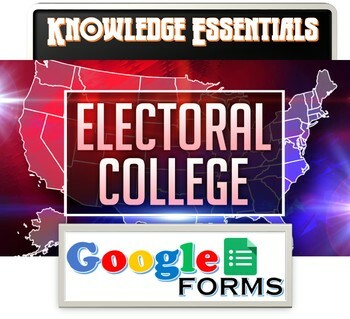 Working familiarity with google forms is recommended.